Sometimes you want to go where everybody knows your name. It’s not just a lyric from the television show, “Cheers,” it’s a sound starting place for creating trust as you build a high-performing team. During my youth in Illinois, there was a politician named Cecil Partee who rose to be the first black to serve as both Cook County’s State Attorney and President of the Illinois State Senate. His superpower was meeting with a group of 100+ people at a gathering, the vast majority for the first time, and saying goodbye to each of them by name at the end of the night. By connecting with people so elegantly, he was respected and rewarded with their support and votes. This may seem like an insignificant thing. I think it’s a big deal. Also, importantly, within everyone’s ability to improve. 1. Decide names are important. You may not agree with the premise because you don’t care if anyone remembers your name. I won’t challenge whether it’s important to you, but I will state, unequivocally, that it is essential to most of your people. 2. Make a personal commitment. 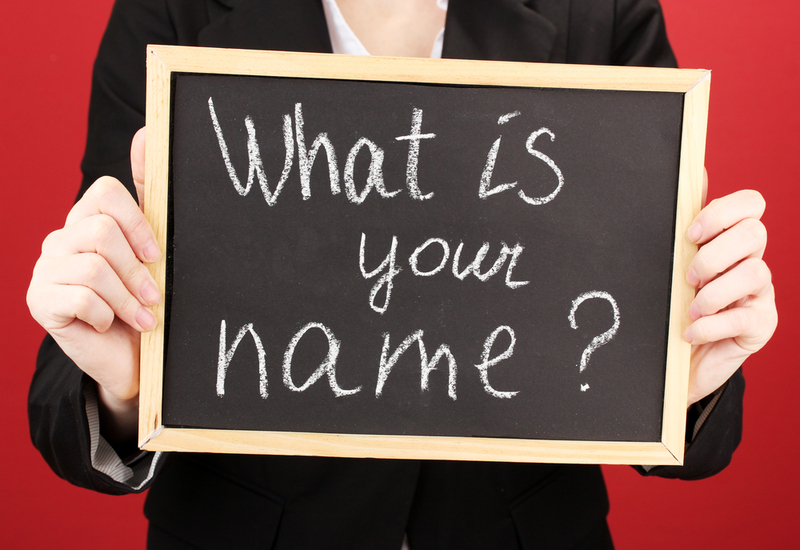 Decide to learn names and then follow through by learning one new name each day this week. This begins to build the habit and your reputation. 3. Shake up your meeting habits. Once a month, invite six people you don’t know well from multiple departments to have lunch with you and no agenda. Ask only one question: What is one thing that would surprise most people to know about you? Sure, it is a universal icebreaker, but it’s also a great way to get more insight into others, make them and their names more memorable, and create a personal connection that will serve everyone after the lunch. 4. People remember how we left them. Whatever we think our legacy is within an organization, how we last parted with someone is how they will recall us. If we didn’t know their name, didn’t seem to care who they were or what they did, or just passed by their desk without any acknowledgment, it’s not difficult to make the leap that they consider us aloof, selfish, or egotistical. All of those judgments are made based upon our observable behaviors. Nobody has any reason to understand our intentions, which may be worthy and honorable but are obvious only to us. 5. Employees leave us. It continues to be true that more people leave organizations due to the relationship with their managers than any other employment factor. It follows that connecting with people personally and professionally provides them with reasons to question a move, rather than leave for slightly more money. Knowing their names and a bit of their story is a great attractor. Whatever your views on this topic, there is zero downside to trying the name game on for size and see how it fits you and your team. In my experience, the payoff will dwarf your investment in time and emotional labor—or your money back.